This photograph shows O.V. 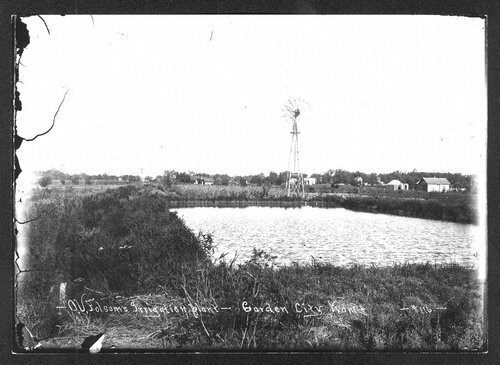 Folsom's irrigation plant in Garden City, Finney County, Kansas. The photo shows a windmill near a reservoir.